It was another extremely successful day for home-team Hungary at the 2017 ECA Dragon Boat Nations and Clubs European Championships in Szeged. Paddlers of the host nation won 25 medals on Friday, six gold medals in nation’s finals, four gold medals in club’s events finals, seven silver medals and eight gold medals in nation’s and club’s events combined. Friday competitors fought for the medals in 20-seater 200 metres finals and 20- and 10-seater events on the 2000 metres long course. 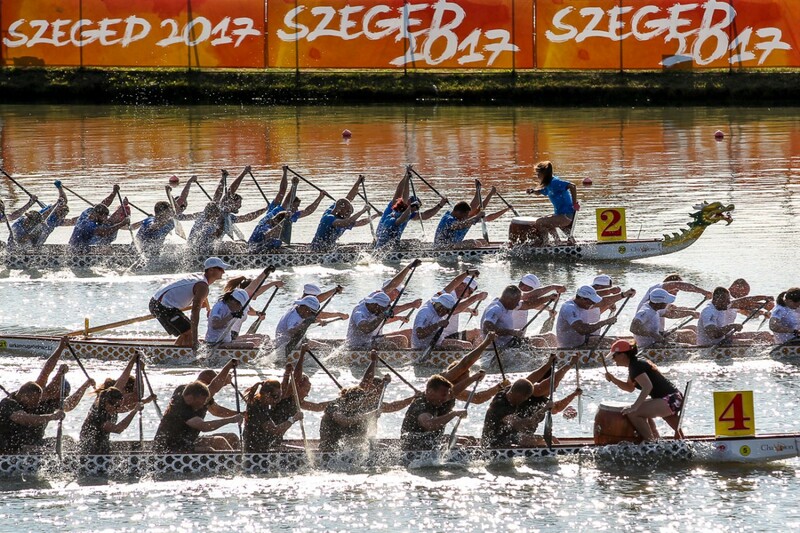 Hungarian crews which have a strong participation of many renowned names from canoeing world, including Olympic medallists, World and European Champions, were almost unbeatable during the second competition day in Szeged. The first gold medal for Hungary came in the nation’s part of the competition in the 20-seater masters mix 200 metres A final, where the home team finished the race ahead of Germany and Romania. They have also won gold medals in 20-seater masters men 200 metres final, 20-seater masters mix 2000 metres final, 20-seater senior mix 2000 metres event, 20-seater masters men 2000 metres event and in the final event of the day: 10-seater masters mix 2000 metres final. Russian boats won three gold medals and a bronze. They have been the fastest in 20-seater senior mix 200 metres final, 20-seater senior men 200 metres event and in 10-seater senior mix 2000 metres A final. The only remaining gold medal in nation’s part of Friday’s competition was won by representatives of Ukraine who were the best in 20-seater senior men 2000 metres final. Hungary finished second and Russia third in this race. Ukraine picked up additional five silver medals and one bronze during the second competition day of Dragon Boat European Championships. Italy won silver and three bronze medals in nation’s events, Germany two silver medals, Romania three bronze medals and Sweden one silver medal. Sweden also picked up one medal in club’s part of the competition, where Poland also won two medals. 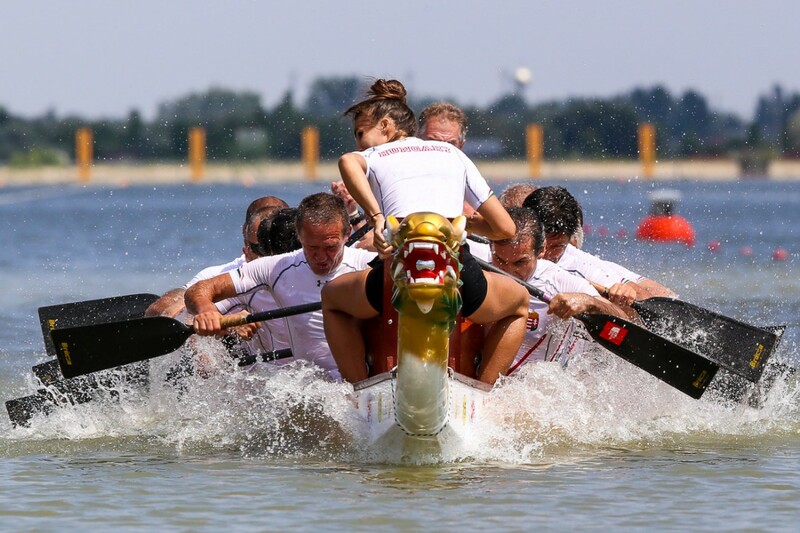 Local Hungarian club Dragon Boat Club of Szeged was among the most successful, winning in three finals today, and German club Preussen Kanu from Potsdam was also successful with two gold and one silver medal in today’s club competition. On Saturday the 500 metres events in 10-seater boats are scheduled both in club’s and nation’s part of the European Championships.